Planning a trip somewhere around the globe? You better do your research before you book a flight. For one, you do not want to go to a place you have no idea about. Secondly, you don’t want to put yourself in danger. Ultimately, you should look out for your health when travelling. After all, you travel to have fun; not to get sick. Your destination’s overall environmental state is a major consideration. Most polluted areas are teeming with a number of serious health concerns like cancers, birth defects, mental retardation and reduced life expectancies. So, heed this warning and know 10 of the most polluted cities in the world according to The Blacksmith Institute. The Blacksmith Institute is a New York-based environmental NGO focusing on unknown pollution hotspots — mostly in the developing world — where the kind of heavy-duty industrial contamination that the U.S. has largely cleaned up is still taking a devastating toll on human health. Note: This list is not exhaustive and is not arranged according to degree of pollutant contamination in the area. This list is provided by The Blacksmith Institute. Chernobyl is known for the worst nuclear disaster in history. On April 26, 1986, a mishap in a nuclear reactor in Chernobyl caused its core to release 100 times more radiation than the atom bombs dropped over Hiroshima and Nagasaki – it was a nuclear meltdown. The consequence was fatal and horrendous. More than two decades after, the effects can still be felt and seen. The 19-mile (30.6-kilometer) exclusion zone around the plant remains uninhabitable. Local residents still suffer from the effects of the nuclear fallout (i.e. skin lesions, respiratory ailments, infertility and birth defects). Dzerzhinsk a city in Nizhny Novgorod Oblast, Russia, located along the Oka River, about 400 kilometers (250 mi) east of Moscow. It has been one of Russia’s principal manufacturing sites of chemical weapons until the end of the Cold War. Between 1930 and 1998, over 300,000 tons of chemical wastes were dumped in the city, leading the Guinness Book of World Records to name it the most chemically polluted city in the world. In 2003, the death rate in the area was reported to exceed the birth rate by 260 percent, and the average life expectancy was reported to be 42 years for men and 47 for women. A quarter of the city’s 300,000 residents are still employed in factories that produce toxic chemicals. Kabwe is the capital of the Zambian Central Province with a population estimated at 202,914 at the 2010 census. Formerly named Broken Hill, it was founded when lead and zinc deposits were discovered in 1902. 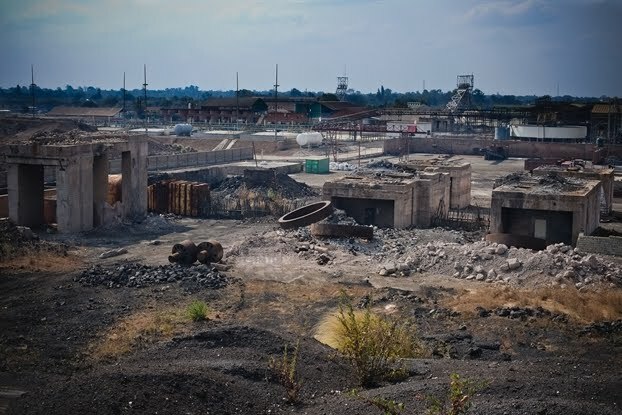 There has been little concern about the effects of the lead and zinc mines in Kabwe. Though the mines and smelter are no longer operating, lead levels in Kabwe are astronomical. The lead concentrations in children, on average, are five to 10 times the permissible U.S. Environmental Protection Agency levels. This lead concentration can even be high enough to kill. “We did blood tests on some of these kids, and they literally broke our machines,” says Richard Fuller, president of the Blacksmith Institute. “There is a long, nasty history here.” But there’s also a bit of hope: the World Bank has recently allocated $40 million for a clean-up project. La Oroya is a city of about 33,000 people on the River Mantaro in central Peru. It is situated on the Altiplano some 176 km east-northeast of the national capital, Lima, and is capital of the Yauli Province. 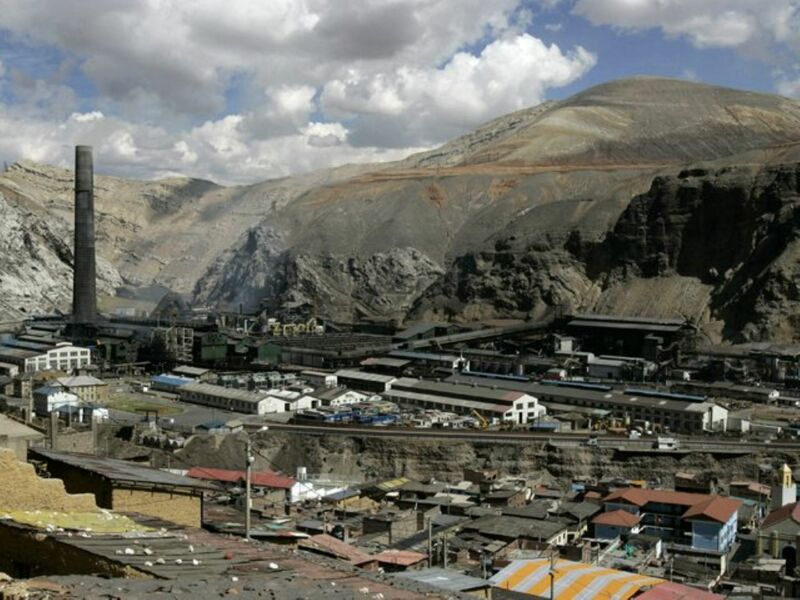 La Oroya is a mining town with an alarming toxic emission from a metal processing plant owned by a US-based Doe Run Corporation. The plant is responsible for the dangerous level of lead in the blood of 99 percent of the children living in La Oroya and in nearby areas. Local officials recorded extremely high rates of premature deaths that are linked to intoxication from these noxious gasses. Acid rain is so common in La Oroya due to high sulfur dioxide emission from the plant. Consequently, vegetation in the surrounding area has been totally destroyed. Linfen is a prefecture-level city in southern Shanxi province, People’s Republic of China. It has an area of 20,275 square kilometres (7,828 sq mi.) Prior to 1978, Linfen was famous for its spring water, greenery and rich agriculture and therefore nicknamed “The Modern Fruit and Flower Town”. Since then it has been developing into a main industrial centre for coal mining (it now produces roughly two-thirds of the nation’s energy), which has significantly damaged the city’s environment, air quality, farming, health and its previous status as a green village. Residents in Linfen literally choke on coal dust at night. Also, Don’t bother hanging your laundry — it’ll turn black before it dries. 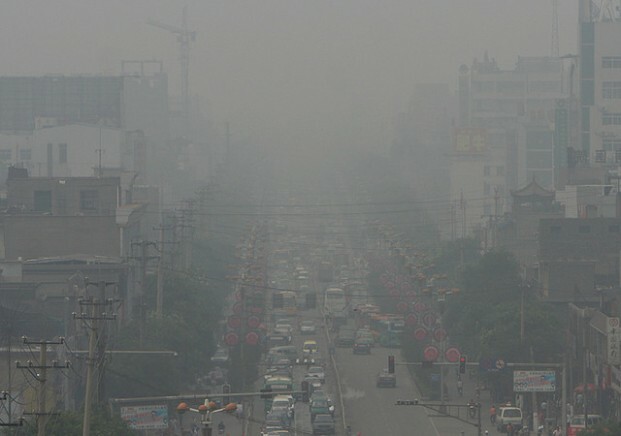 China’s State Environmental Protection Agency says that Linfen has the worst air in the country, which is saying something, considering that the World Bank has reported that 16 of the 20 most polluted cities in the world are in China. Vapi is a city and municipality in Valsad District in the state of Gujarat. It is situated on the banks of the Damanganga River and is the largest city in the Valsad district and also the second largest city after Surat in South Gujarat. It can be called the most developed city in Gujarat followed by Ahmedabad, Surat,Vadodara and Rajkot – undoubtedly though, it is also the most polluted. Vapi marks the southern end of the country’s “Golden Corridor”a 400-kilometer (245-mile) stretch of industrial sites that manufacture petrochemicals, pesticides, dyes, paints, and fertilizers. A survey by the Indian government revealed that the sites lack a proper system for disposing of industrial waste, which often contains high levels of heavy metals and cyanide, among other contaminants. Vapi’s distance from sources of clean water has forced residents to consume the town’s contaminated water, the institute said. As a result, incidences of respiratory diseases, carcinoma, skin and throat cancers, birth defects, and infertility are high in Vapi, the nonprofit added. Norilsk is an industrial city in Krasnoyarsk Krai, Russia, located above the Arctic Circle, east of the Yenisei River and south of the western Taymyr Peninsula. Norilsk is the northernmost city in the world making it coldest, but it is also one of the most polluted. It was founded in 1935 as a Siberian slave labor camp, and life there has pretty much gone downhill since. Sukinda is a town in Jajpur district, Odisha, India. Odisha accounts for about 98% of the total proved chromite (chromium ore) reserves of the country, of which about 97% occur in the Sukinda Valley. Twelve mines operate without environmental controls, leaching hexavalent chromium into drinking water supplies. Hexavalent chromium is a nasty heavy metal used for stainless steel production and leather tanning that is carcinogenic if inhaled or ingested. More than 30 million tons of waste rock are spread over the surrounding areas, and untreated water is discharged by the mines into the river. As a result, nearly 25 percent of the inhabitants near the sites are suffering from pollution-induced diseases (i.e. gastrointestinal bleeding, tuberculosis, and asthma among others). However, multiple local political figures and scientists disputed the listing, claiming that the Blacksmith Institute used outdated research. Sumgayıt is the third largest city in Azerbaijan, located near the Caspian Sea, about 31 kilometres (19 miles) away from the capital, Baku. The city has a population of around 298,000, making it the third-largest city in Azerbaijan after the capital Baku and Ganja. Unfortunately, it is heavily polluted. Sumgayit was a major Soviet industrial center with more than 40 factories producing industrial and agricultural chemicals. Sumgayit’s many factories, while they were operational, released as much as 70,000 to 120,000 tons of harmful emissions, including mercury, into the air every year. 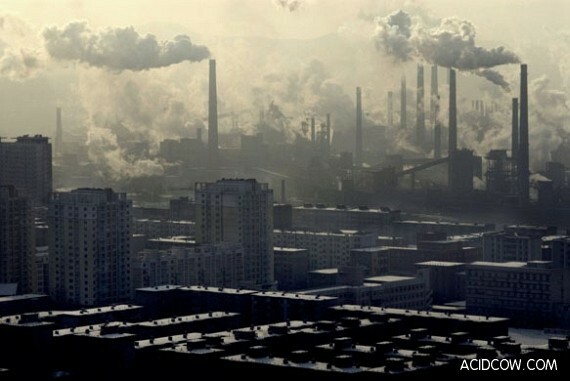 Most of the factories have been shut down, but the pollutants remain. As a result, a high percentage of babies are born premature, stillborn, and with genetic defects such as Down’s syndrome, anencephaly, spina bifida, hydrocephalus, bone disease, and mutations such as club feet, cleft palate, and additional digits. Tianying is a town under the administration of Jieshou, which is in turn administered by the prefecture-level city of Fuyang, in northwestern Anhui Province, China. Nearly half of China’s lead production is located in Tianying and the surrounding area. The use of antiquated technology and lack of proper disposal has led to high levels of lead pollution in the area. “Wheat has been found to contain lead levels up to 24 times Chinese standards, which are even more stringent that U.S. restrictions on lead” the Blacksmith Institute reported. As a result, residents, especially the children, are reported to suffer from lead poisoning and its related effects lower IQs, short attention spans, learning disabilities, hyperactivity, impaired physical growth, hearing and visual problems, stomachaches, irritation of the colon, kidney malfunction, anemia and brain damage. All images are grabbed from WikiMedia and are licensed under Creative Commons (CC), unless stated otherwise.